Osram Opto Semiconductors is launching its smallest sidelooking infrared LED to date. 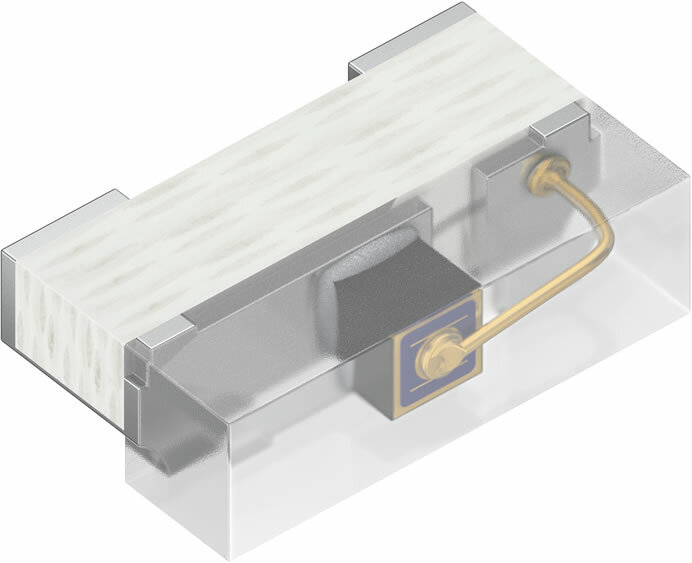 The new SFH 4055 is based on the proven Firefly platform, used widely for LEDs in the visible spectrum. The new transmitter, which has a wavelength of 850 nm, is primarily targeted at eye-tracking systems in augmented and virtual reality headsets. With a footprint of just 1.0 x 0.325 x 0.55 millimeters, the new Firefly fits the bill perfectly. The LED is a sidelooker with an impressively low height of just 0.325 mm. Eye-tracking systems use multiple infrared LEDs to illuminate users’ eyes and capture the light reflected back with camera sensors. Incorporating this technology into virtual reality (VR) or augmented reality (AR) headsets calls for extremely compact infrared LEDs, tiny enough to fit into glasses around eyepieces. Eye tracking supports entirely new, highly intuitive forms of interaction in VR and AR applications and enables users to control software programs by directing their gaze. The SFH 4055 is generally aimed at applications that require exceptionally compact infrared transmitters.